Fortunately there are not too many toll roads in New Zealand. There are only three of them and they are all located in the North Island. They do save a lot of time and are really easy to use. They are all automated so you will be charged every time you drive on the toll road. There is no stopping or toll booths instead they register your registration number (Licence Plate) as you pass through specially developed gateways. They are all well signposted so if you do decide to drive around the toll you will be given plenty of notice to do this. 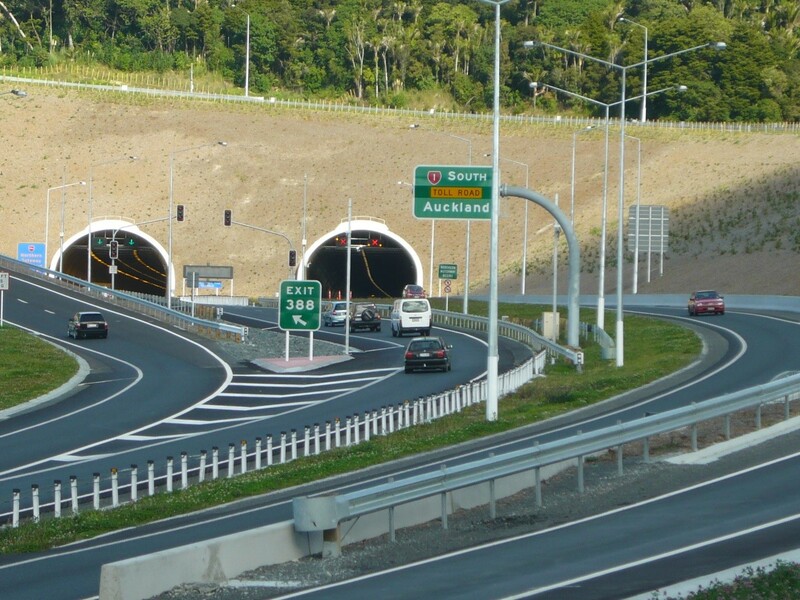 The Northern Gateway is located on State Highway 1 just north of Auckland between Silverdale and Puhoi. There is a way to drive around the toll road and this will take you about another 10 minutes, just take the State Highway 17 turnoff and travel through Orewa. If you decide the toll road is for you, you will pass through the Johnstone’s Hill tunnel. The Tauranga Eastern Link Toll Road runs between Papamoa and the Paengaroa roundabout (SH2 and SH33 to Whakatāne and Rotorua). 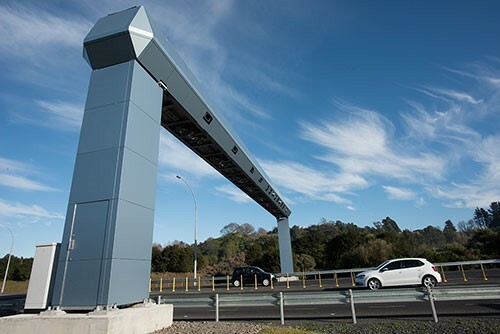 It is New Zealand’s newest toll road, and if you are travelling between Tauranga and Rotorua, or the East Cape you will most likely come across it. If you do not wish to take this road there is an alternative route through Te Puke. 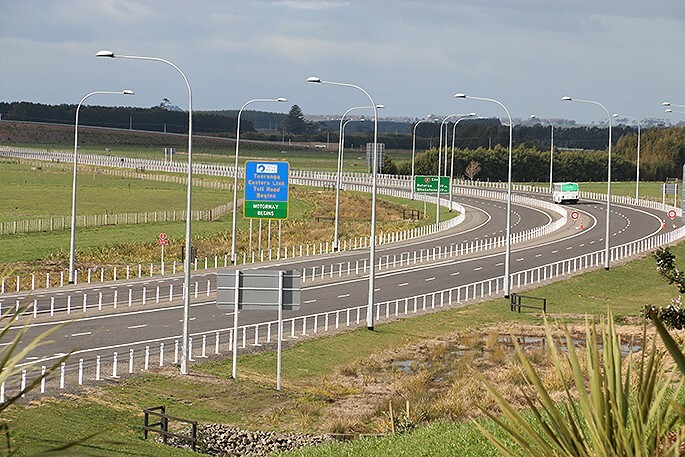 The Takitimu Drive Toll Road is also located in the Tauranga area; it is on the northern side of Tauranga and was formally known as the K Toll Road. It is a 5km road that bypasses the Tauranga city centre and takes traffic from State Highway 29 (SH29) to State Highway 2 (SH2) in the direction of the Port of Tauranga and Mt Maunganui. The alternative routes are via Cameron Road or Cambridge/Moffat Roads. Payment for the toll roads are the hirer’s responsibility. The costs do vary between the roads but are not excessive at the time of writing the costs are between $1.80 and $2.30 one way. If you wish to pay online or via the phone you will need the Licence plate number of the vehicle and a credit card. If you wish to pay by phone please phone 0800 40 20 20, there is an extra fee of $3.70 for using this service. There are a number of service stations that can assist you with paying your road tolls; it does incur an extra $1.20 fee. Please ensure that your toll is paid. There is a $50 administration fee + any applicable toll fees if you travel on a toll road and forget to pay. If you have any questions please do not hesitate to contact your friendly Epic Rentals Team.